Yes, these girls were on bikes tonight. 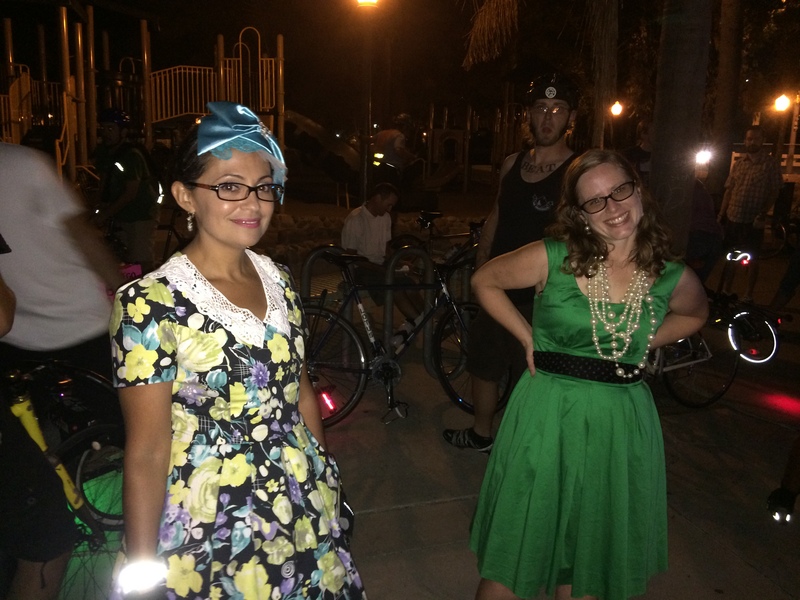 This month’s San Diego Bike Party had a 50’s theme, and ice cream sandwich treats. We had a great turnout on this summer Friday night. It’s amazing to see perfect, full-detail vintage costumes in real life. It’s inspiring. I’d vote for a law that’d require us all to always dress in period costumes. I’m telling you, we missed out on an elegant era. Bring it back. Next Post → More Anachronisms!